The ArcGIS Pro quick-start tutorials introduce you to many aspects of ArcGIS Pro. They cover basic operations, such as adding data and navigating in 3D, as well as complete workflows, such as authoring maps, sharing maps to ArcGIS Online, and building analysis models. Explore a mountain in 3D in Navigate maps and scenes. Visualize flood risk in an urban area in Add data to a project. Draw a population heat map and compare it to city bus routes in Symbolize map layers. Share a map of hiking trails to ArcGIS Online in Share a web map. Identify areas at risk from invasive grass species in Use geoprocessing tools. Create data to represent ski cabins in a national park in Create points from a table. Dynamically display changes in tourism over a 20-year period in Visualize temporal data. Top: Share a map of hiking trails to ArcGIS Online in Share a web map. Lower left: Make a population heat map in Symbolize map layers. Lower right: Visualize potential flooding in 3D in Add data to a project. ArcGIS Pro software is required for the tutorials. If you already have ArcGIS Pro, update your software to ArcGIS Pro 2.3, if necessary, for the best experience. If you don't have ArcGIS Pro, you can sign up for an ArcGIS Pro free trial. You may want to follow the tutorials in order, especially if you're a new GIS user. Each tutorial can be done independently; however, common operations are described in more detail in the first tutorials. Most of the tutorials use project packages that you open directly from ArcGIS Pro. For this, you need a portal connection to ArcGIS Online, where the data is stored. Some tutorials use compressed files that you download to your computer. Each tutorial explains how to find and open the tutorial data you need. If your ArcGIS Pro license is a Named User license, you have a portal connection to ArcGIS Online. 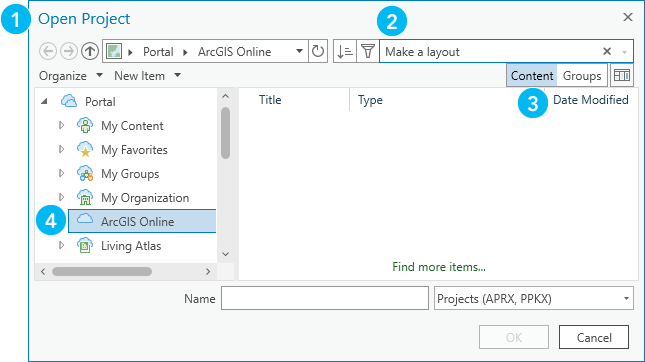 If your ArcGIS Pro license is Single Use or Concurrent Use, you can create a free ArcGIS Public Account and add it as a portal connection. If you are not able to make a portal connection to ArcGIS Online—for example, if you're in a restricted or disconnected environment—you can download the tutorial data from the links below when circumstances allow. When you start the tutorial, open the project package from your computer instead of from your portal. The active portal has a check mark. Your active portal should be www.arcgis.com or the URL of your ArcGIS Online organization. See Manage portal connections from ArcGIS Pro for more information. If you have an active portal connection and still don't get search results, make sure to type your keywords in the search box at the top of the Open Project dialog box (not in the Name box at the bottom). Under the search box, make sure that the Search The Active Portal button is selected. Otherwise, your search is restricted to the contents of your ArcGIS Online organization. You can find more tutorials on special topics in the ArcGIS Pro help system. The Learn ArcGIS site is a collection of lessons that use ArcGIS software in real-world situations. 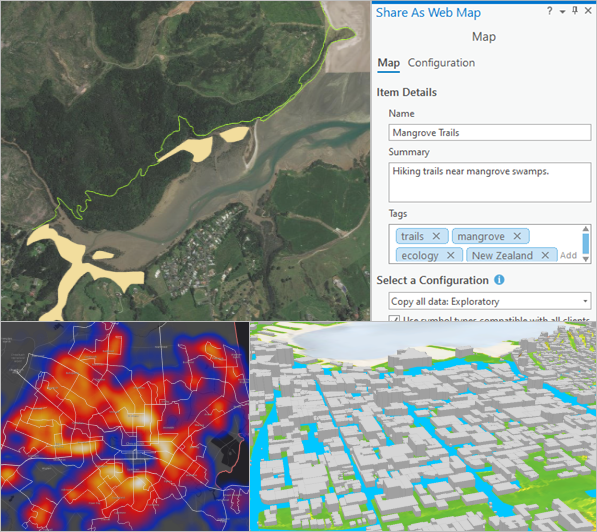 From the Lesson Gallery, you can filter by product to show lessons that use ArcGIS Pro. Applied analysis case studies are in-depth analysis projects that provide scenarios, data, and workflows to solve complex problems. Solutions are typically outlined for different software applications, including ArcGIS Pro, ArcMap, and ArcGIS Online. The Esri Training Catalog has a variety of learning resources, including instructor-led courses, web courses, training seminars, and videos.